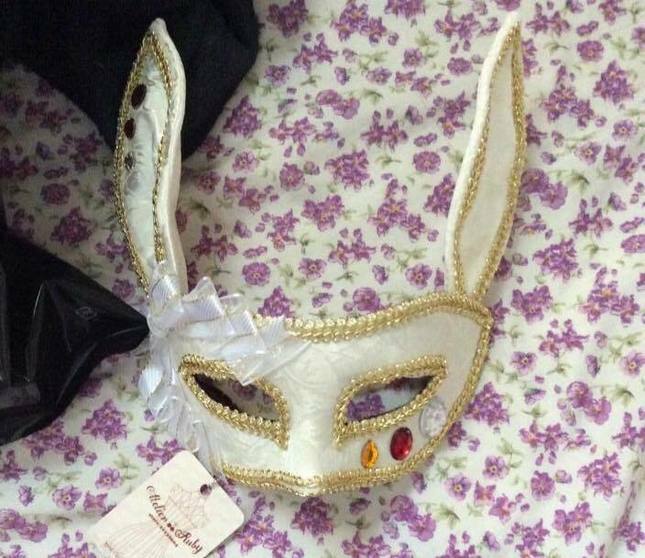 white rabbit eared mask with jewels. has 2 clips & ribbon to tie on. bought from Atelier Pierrot online shop. 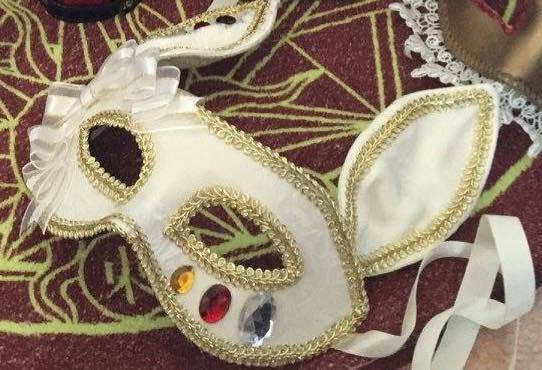 worn only to try on.